As part of a multi-million pound order with Alexander Dennis, eight new Plaxton Leopard coaches will soon provide a significant upgrade to one of Lothian’s operating subsidiaries. They will be deployed on growing express routes operated by Lothiancountry into Scotland’s capital city and are built to a new interurban specification with 49 seats that was developed in close collaboration between the operator and manufacturer. 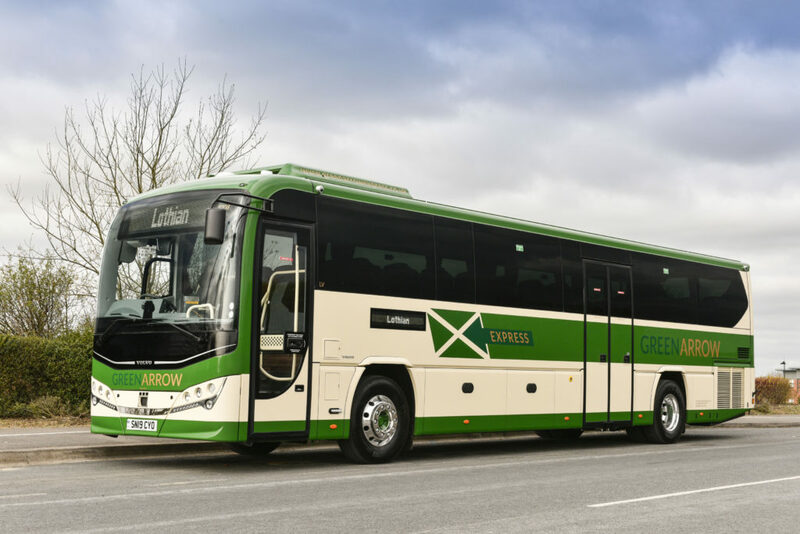 The first of the new coaches will handed over to Lothian this week and will attend the UK Coach Rally in Blackpool on 6th and 7th of April, where they will be shown to the public. 65th UK Coach Rally Dinner Dance at the booking form is available online. Please click here or contact us direct. 64th UK Coach Rally Dinner Dance at the Tower Ballroom booking form is available online. Ayats have confirmed they will be exhibiting at the UK Coach Rally next weekend. Copyright © 2019 Coach Displays Limited. All Rights Reserved.